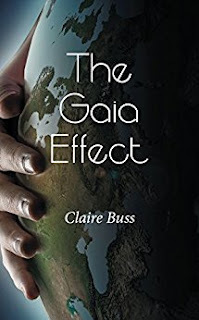 Regular blog guest Brent A. Harris reviews Unbalanced, while blog host Leo McBride also gets in on the reviewing action - with reviews of The Gaia Effect and... a cookbook? 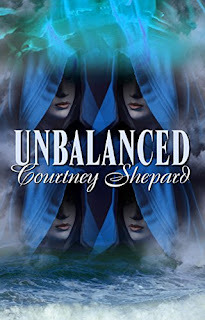 Unbalanced is a paranormal/urban fantasy romance that tells the story of Asha and her journey to discover herself, her powers, and the sisters she never knew she had, all while staying one step ahead of The Order, an ancient cult bent on destroying Asha and her sisters and taking their powers for themselves, generation after generation. Shepard succeeds more often than she fails in this, her debut offering. Asha’s story is tightly told. She attempts to give each sister their own distinct voice. The POV is tightly adhered and the story keeps to its through line without wandering too far off. Shepard sidesteps many struggles that sometimes rob first-time authors of success. Where the book didn’t work for me was in the distant and often repetitive narrative, the going-through the-motion motivations of each character, and an emotional detachment of the characters to the events surrounding them. At one point, a flautist responds to the brutal death of the only family she’s ever known by throwing her life’s work into the ocean and heading to the hills to escape. That’s fine, and perhaps the author’s intent was to keep it mechanical, but all throughout the story the same was repeated and I was expecting an emotional gut-punch that never came. The same dissonance carries over to the books climatic steamy scenes. They are well-written, but favor the physical response over the emotional. I realize its subjective, so pepper to taste, but it made it difficult for me to invest in the characters. 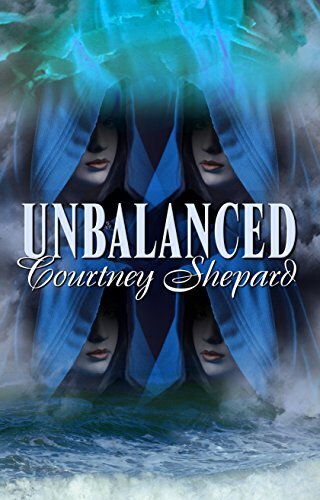 This book has a large cast, and as such, it would difficult for any writer to juggle. Shepard is smart to keep the focus on Asha and her would-be captor. But I wondered at times if he really shouldn’t be the main character instead. Where Asha’s arc is about discovering herself, to me the story was at its best when it focused on the growth of Clay who underwent the greatest amount of change -- from cold killer and cultist, to someone who redefined his roots an overcame his rocky past through a kindle of flame. There are some brilliant bits in this book, and Shepard shows real promise as a writer (I love the line about the Kool-aid!) but it’s overshadowed by an emotional void that will perhaps be better balanced as the sisters re-unite to fight the forces of evil once more. Brent A Harris loves to be told how wrong he his. Go read a copy of Courtney’s book then head over to www.brentaharris.com to let him know. He also likes snickerdoodles. This review took a little longer to write for one simple reason - my wife kept stealing my Kindle to finish the book before me. Not only that but she wanted more too - which has to be a good sign. She said it was like walking into a movie 20 minutes in and wishing she had more of the back story. When I finally wrestled the book from her grasp, I really enjoyed the tale. Let's set the scene - we're in a future where babies are collected, not born, and where becoming pregnant is an impossibility. An impossibility that comes to pass, pitching a group of friends in the middle of a battle between the Corporation that runs society, and those who would resist it. There's a very realistic feel to the nature of the friendships at the heart of the book, as they face up to the situation they find themselves in. As the strict order of society begins to unravel in the wake of the revelation of a pregnancy, science and mysticism both play a part in the ongoing story. Is it Gaia playing her part? Or simple science? Honestly, it's a really enjoyable tale - and one I thoroughly recommend. As for my wife? She hollers over that she wants a sequel. If one comes along, I'll be sure to read it first before I tell her it's on my Kindle. You can pick up The Gaia Effect here. A little while ago, I picked up a Humble Bundle with a host of books from big-name authors - and in the middle of the bundle was this unexpected treat - a cookbook, with recipes from those authors. As you might expect from such a collection of creative minds, this isn't your ordinary cookbook. Whether it's Larry Niven offering up his recipe starting with 14 bottles of Irish whiskey to make Irish coffee, or Ken Schneyer and Janice Okoomian's brilliant idea for a Prancing Pony Party that I'm absolutely going to steal, there's lots of fun in here. There's Star Wars-inspired recipes, and Lovecraftian offerings that could just as easily eat you if you don't eat them. And a host of beverages to wash them all down in tipsy fashion. 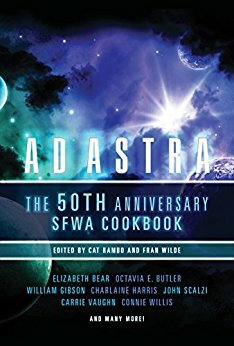 You'll recognise lots of the names here, from Cat Rambo to Elizabeth Bear, John Scalzi to William Gibson. As an aspiring author, I may never write as well as them but with this book, I can eat as well as them! So to get in the spirit, I'll round this off with my very own favourite recipe. My family always bugs me to make this for parties, and it's a great dish to have ready as people arrive to tide them over until the main food is served. I learned this recipe during a visit to Barcelona. There was a fancy hotel opening, and a chef in charge fresh from a Michelin-starred restaurant, but it wasn't from those kitchens that this recipe came. No, on a stroll around town we went to the Bocqueria, a market full of the freshest food you could possibly find, and right there a market stall holder offered some divine asparagus. I've modified the recipe a little to family tastes, so here it is. Take the asparagus and bend it gently until it breaks at the natural point, discarding the lower, woody stems. Place in a container that has a lid and drizzle with olive oil. Don't put in so much that it pools, but that it covers particularly the upper parts of the asparagus. Season with reasonable amounts of salt and pepper - don't get too heavy handed, but give it a good sprinkle. Place lid on container and shake it all up. Place the container in the fridge for 15 minutes. Warm your oven - get it good and hot. I recommend about 450F (230C). Take the asparagus out of the container and arrange with ends all facing one direction on a baking sheet. Place in the oven for about ten minutes. Knock down the temperature to about 350F (175C) and sprinkle the grated cheese over the top of the asparagus. Place back in the oven until cheese has melted (no more than five minutes, probably less). Take out, place on a pretty serving dish and offer to your guests as they walk through the door. You can pick up the Ad Astra cookbook here.